Just because it’s cold outside doesn’t mean you have to have cabin fever all winter long! Now that we’re in the thick of the winter season, we might be missing the outdoor days. The good thing is that you can still enjoy the outdoors with a winterized patio. 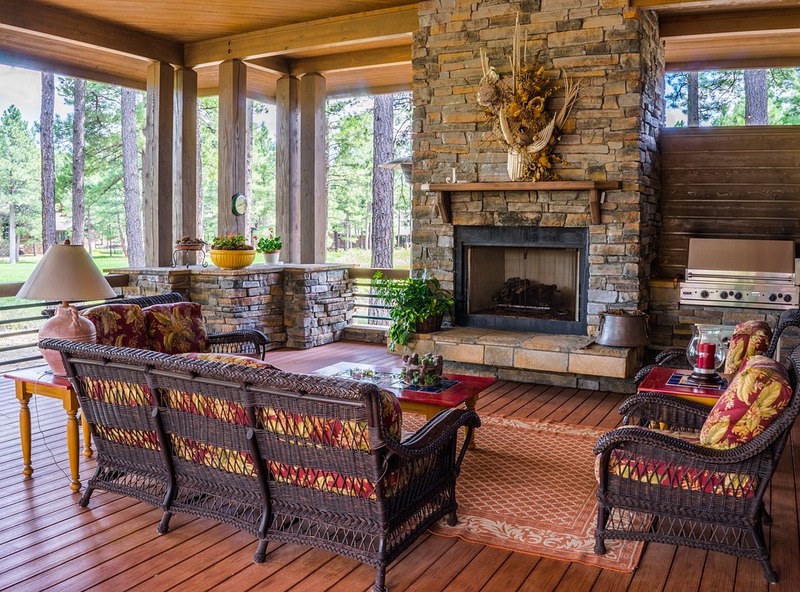 Here are four tips for you to enjoy your patio during winter weather. With snow and other harsh winter weather, your first step to a winterized patio is to cover it! You can accomplish this by adding an overhead shelter, such as an affordable detached pergola to as luxurious as a full roof complete with heaters, to your existing deck. What’s great is that adding a cover to your patio is relatively inexpensive, depending on your existing home structure. Winter winds are another factor you have to think about when enjoying your winterized patio. Ceiling-to-floor shades are very helpful in blocking the wind chill. Shades and blinds are often inexpensive and are made out of bamboo or wood. When the weather heats up, you’ll soon discover that these shades can be used year-round! When you’re not blocking winter winds during the summer months, you can use the ceiling-to-floor shades for added patio privacy. Upgrade to winter patio furniture. It’s wise to upgrade your patio furniture to withstand the harsh winter months. A budget-friendly option for weather-proof furniture are lightweight plastic benches that are stylish, transportable and great for entertaining as these can accommodate several people. If you have more funds to put toward winter patio furniture, there are even lounge chairs that you can plug in to become heated, which will make your patio even more cozy. With less daylight during the winter, you’ll surely need extra lighting outdoors for your patio. Adding landscape lighting or even hanging string lights not only allow you stay outside longer, but they also create a warm ambiance. You can also incorporate heating with your lighting by adding heat lamps! This goes without saying that having a fireplace in your patio is certainly a great option, too. The possibilities are endless when it comes to illuminating your patio!